I braved the crowd and attended the MAC/Estee Lauder warehouse sale, in Markham, Ontario, this weekend, and it was bonkers. I wanted to go on the Sunday (the last day of the sale), because they are known to have extra discounts on certain items. The only other time I attended this sale was in June 2015, where I went bright and early on the Friday, and lined up for 2 hours to get in, just to beat the lineups in the buildings themselves. You can read about my experience, HERE (tons of pictures from inside the sale), or check out my vlog HERE. Pictured above was the line to get into the sale. Luckily, the people I went with had someone lining up for us, so line security let us go in when our person was at the front (makes up for last time, when there was no line security, and 30 people got to cut in front of us). Compared to going on a Friday, I really didn’t like the Sunday. The lineups were sooooo long. I lined up for over half an hour just to get to the $4 bins. Lineup for the $4 bins, taken when I was about 10 minutes away from getting to the products (Yes, the line curves and keeps going). Even though it was cramped and hot, I made it out with some goodies. Here’s my haul. 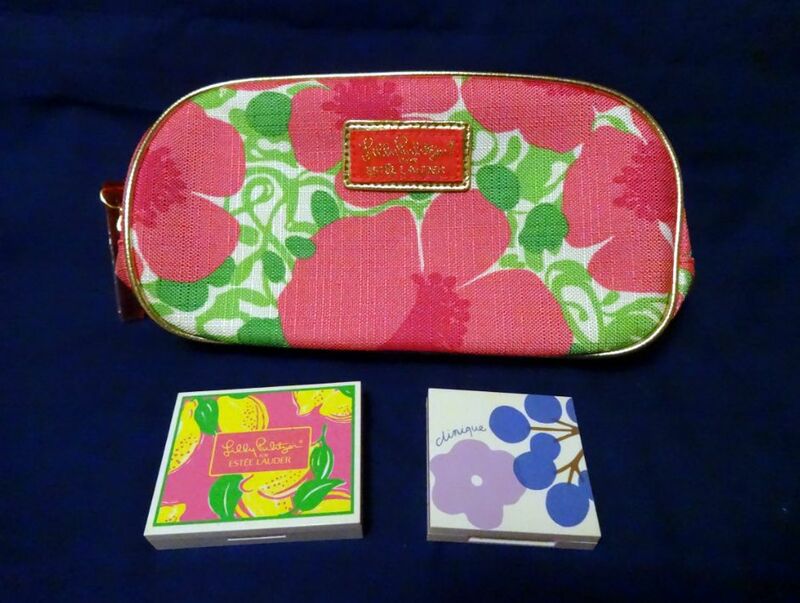 Lily Pulitzer makeup bag, Lily Pulitzer Estee Lauder quad, Clinique ‘Twilight Mauve/Brandied Plum’ duo + ‘Smoldering Plum’ blush. ($4.00 each). 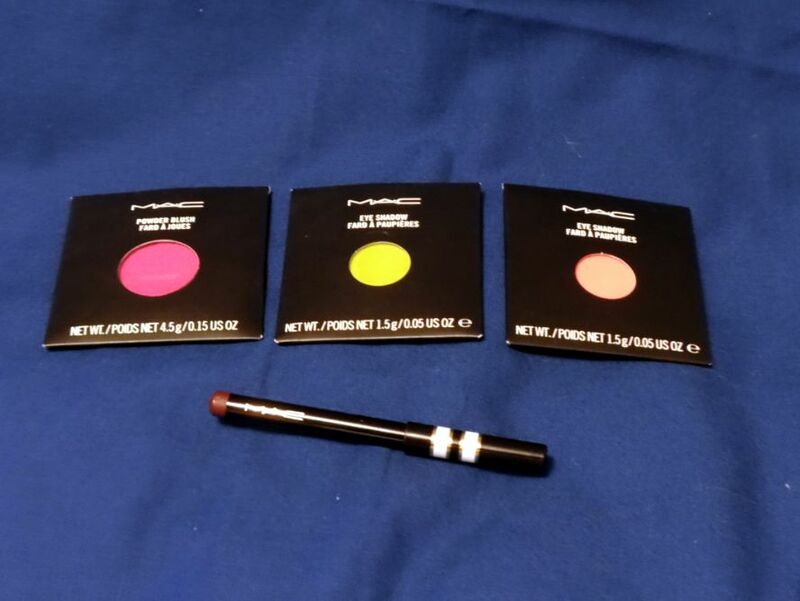 MAC powder blush pan ‘Rhubarb’, MAC eyeshadow pan ‘Sour Lemon’, MAC eyeshadow pan ‘Coral’, MAC lip pencil ‘Vino’ ($4.00 each). 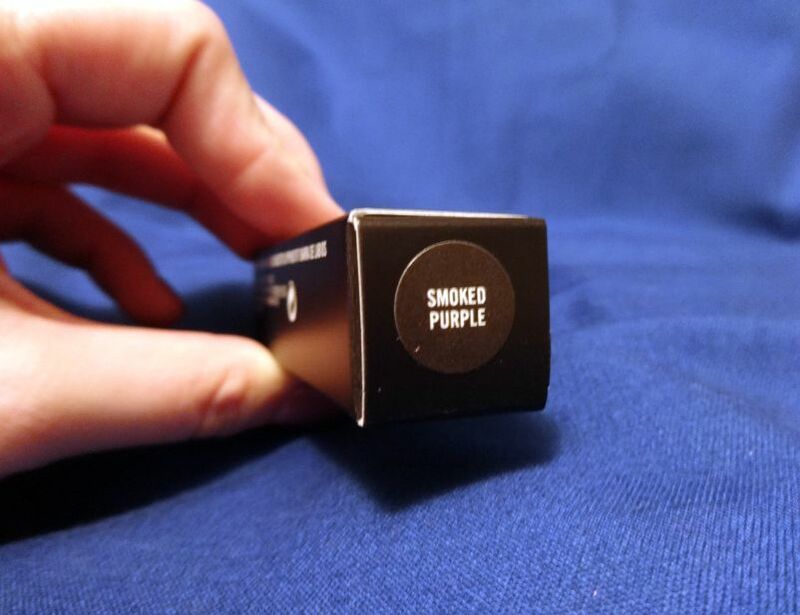 MAC lipstick ‘Smoked Purple’ ($10.00). 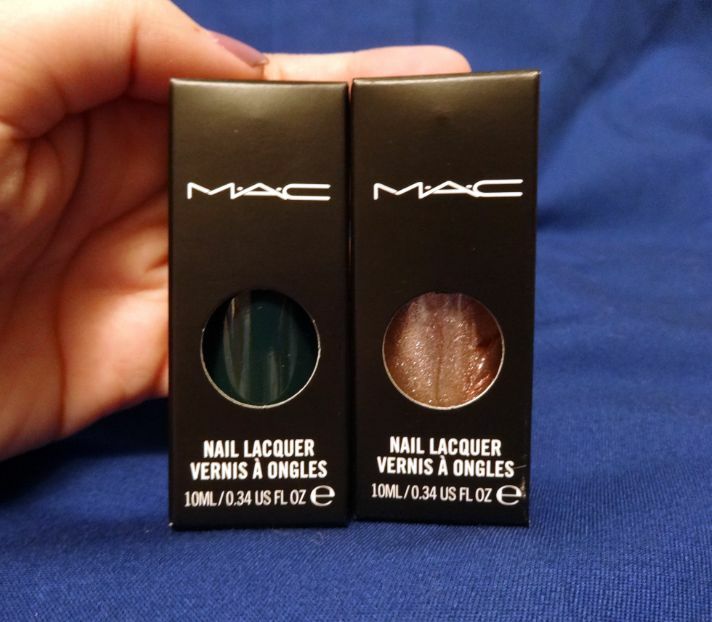 MAC nail lacquer ‘Deep Sea’, MAC nail lacquer ‘Girl Trouble’ ($10.00 each + buy 1, get 1 free). 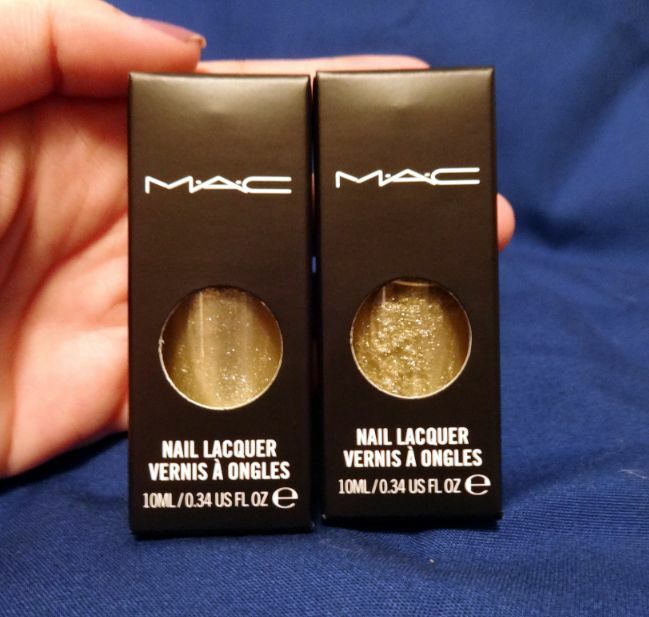 Free gift: 2 MAC nail lacquers in ‘Screaming Bright’. 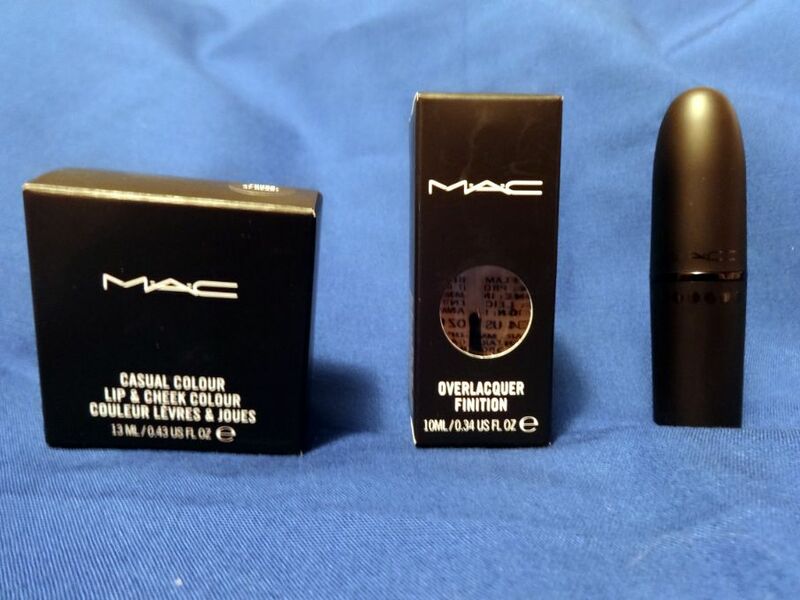 Charity bag option #1: MAC Casual Coloup Lip & Cheek Colour ‘Young At Heart’, Overlacquer Finition, MAC lipstick ‘Ruby Woo’ LE packaging ($5.00 per charity bag). 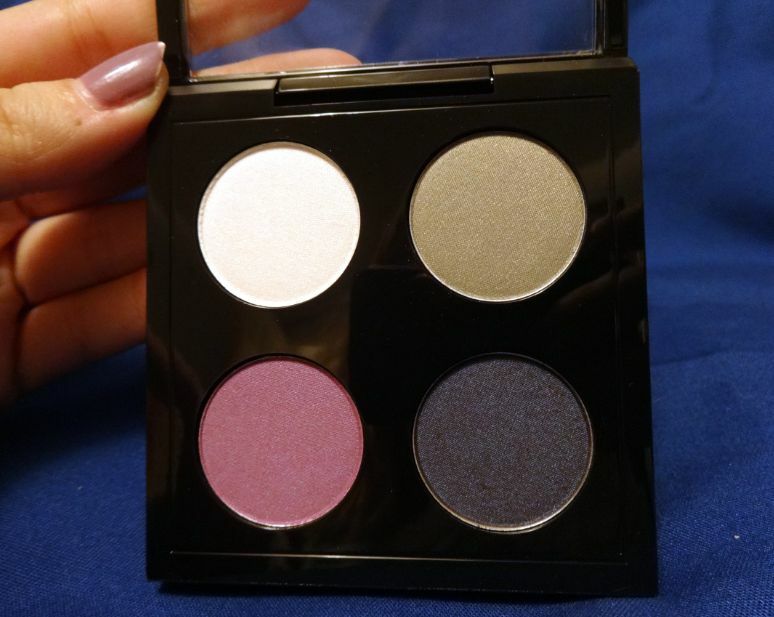 Note – The eyeshadow quad photographed in a weird way – the bottom left colour was a much deeper purple. The person working the charity bag both mentioned that there were other eyeshadow quads, so maybe I’ll trade this one, with someone who attended the sale, and got a different one.